Escape to the Top End and discover a paradise. View Aboriginal rock art at Nourlangie and Ubirr, cruise Yellow Water Billabong and East Alligator River in search of crocs then go ashore in Arnhem Land with special permission of the locals. 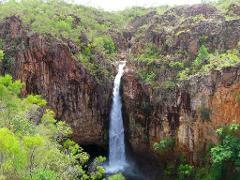 Absorb the natural beauty of the Top End. Discover the wonders of Kakadu National Park, cruise the famous Yellow Water Billabong and spot saltwater crocs and other wildlife. 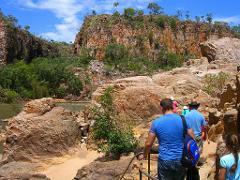 Travel by 4WD into Arnhem Land and take in the amazing scenery. Immerse yourself in the beauty and culture of the Top End. Be amazed at Aboriginal rock art at Nourlangie and Ubirr, cruise the magnificent Katherine Gorge, Yellow Water Billabong and East Alligator River absorbing Aboriginal culture. Take in the sights of the tropical Top End. Relax on the Yellow Water Billabong & Guluyambi Cultural cruise, be amazed by ancient rock art at Ubirr and Nourlangie. 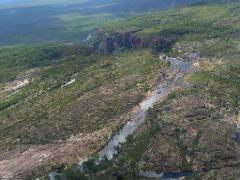 Travel by 4WD into Arnhem Land & the Mikinj Valley with an Aboriginal Guide. 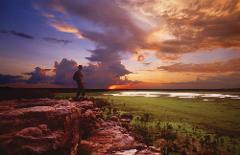 The natural beauty of Kakadu National Park will take your breath away. 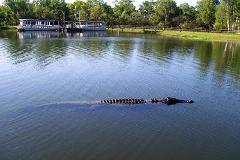 Absorb the ancient rock art at Nourlangie and Ubirr, enjoy the Yellow Water Billabong and Guluyambi cruise. 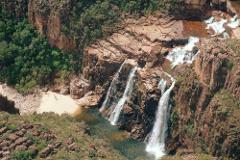 View the striking Jim Jim Twin Falls and visit Arnhem Land. Experience the wonders of the Top End. 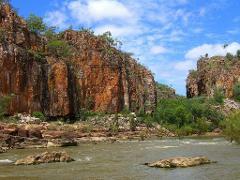 View the highlights of Kakadu and Litchfield National Park including rock art at Nourlangie and Ubirr. 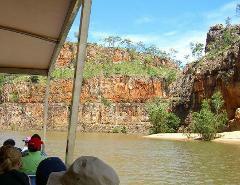 Cruise Katherine Gorge and Yellow Water Billabong absorbing the encapsulating scenery. There’s plenty to discover in the tropical Top End. Take in the sights of Kakadu National Park, view ancient rock art at Nourlangie and Ubirr and join the Yellow Water Billabong cruise. 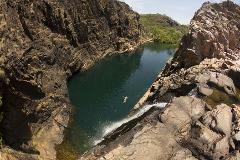 Venture into Arnhem Land to Jim Jim & Twin Falls.